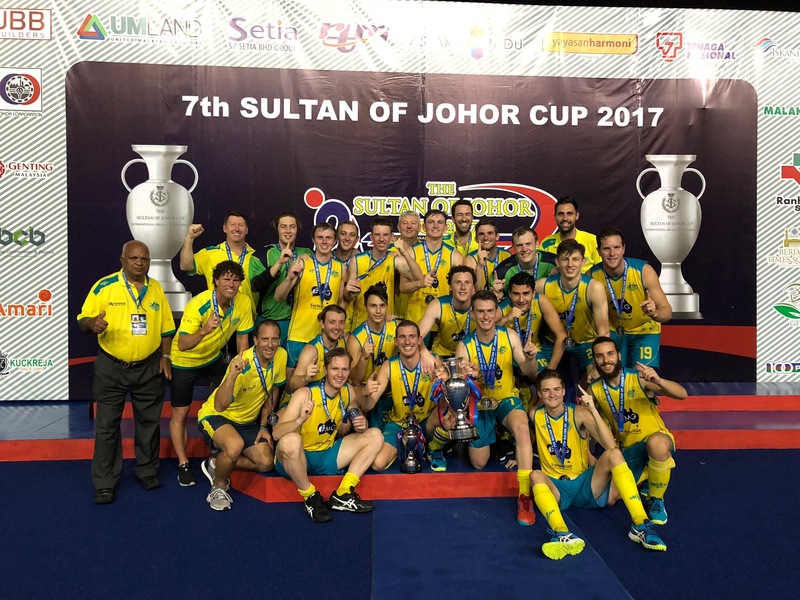 The Burras, a youthful men’s select side representing Australia defeated Great Britain in the Sultan of Johor Cup final on Sunday night. After defeating Malaysia 3-1 in the Semi Final the Burras went on to put two past the Great Britain outfit and keep a cleansheet to lift the Sultan of Johor Cup. The 2017 Sultan of Johor Cup was the seventh edition of the Sultan of Johor Cup, held in Johor Bahru, Johor, Malaysia from 22 to 29 October 2017. A total of six teams competed for the title, including Great Britain, India, Australia, Malaysia, Japan and the United States. Coached by NSWIS Head Coach Brent Livermore and featuring a number of NSWIS hockey athletes, the Burras finished the group stage in second place behind Great Britain and were able to capitalise on their position to claim top honours.